Meet Sissel, a well-dressed man with some crazy shades and even crazier hair. He’s mad. Know why? Well, he seems to have lost his memory, but more importantly, he’s dead. Waking up dead to a talking lamp can definitely be a strange experience, but what’s even stranger is not only is Sissel dead, but he seems to have the power of the dead as well. With only a night until he disappears forever and the power to turn back time and manipulate objects, Sissel takes this opportunity and challenge to try and jog back his memory and find out how and why he died. 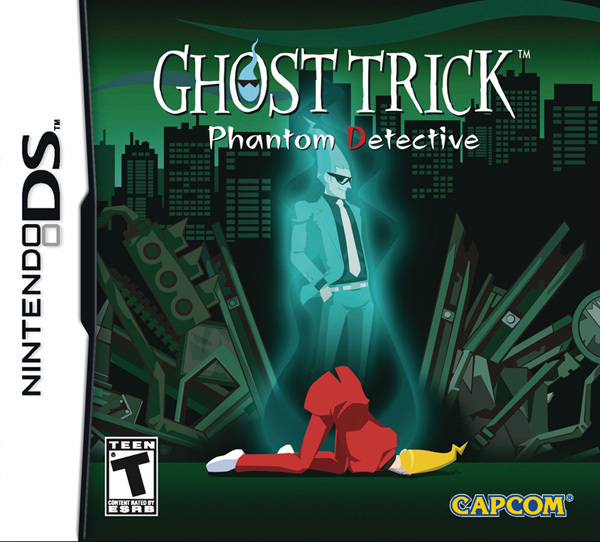 This is Ghost Trick. In each level you are forced to find a way to manipulate and move through the environment to either find clues about your death, or even save the lives of people who might be your only clue. After a death, Sissel has the power to go back four minutes prior to that person’s death in hope that you can save that person. Game play options are pretty slim, you can either switch to ghost mode where time freezes and you can move through the environment, or use your tricks to manipulate some items in certain ways. Each level is a strict puzzle that you’ll need to figure out. The characters are the star of the game here, even more so than the story. 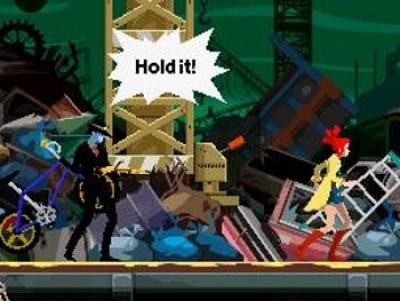 Sissel is surrounded by a colorful cast that each has their unique quirks and actions. 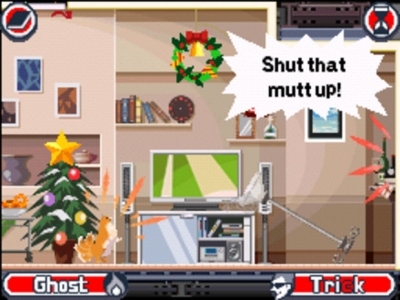 Missile the Pomeranian is definitely the break-out character of the game, as his lines and delivery are both adorable and amusing. His extreme loyalty and dedication is inspiring. Personality is packed in this game thanks to the entertaining characters and the beautiful animation. Charming is definitely a word you should associate with this game. Despite being story-heavy, the characters are largely what made the game impossible to drop. Being in a mystery, you’re left in the dark for a majority of the game and the explanations and reveal might be a bit silly. 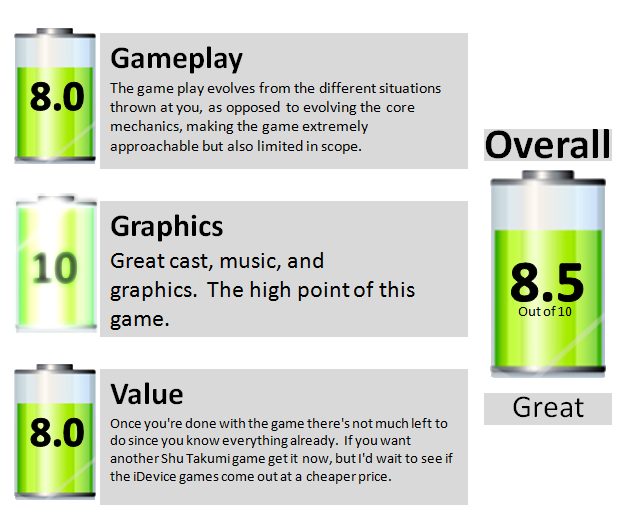 You have to give applause for Shu Takumi, because the game can go from silly to serious at any moment. Add in twists in the game, and you can see how it can be a pretty awesome roller coaster ride. Game play mechanics can be a bit simplistic at times and the puzzles too demanding, but if you’re looking for a character and plot driven game then this is the game for you. This entry was posted on February 1, 2011 by Greenyz. It was filed under Reviews and was tagged with Capcom, DS, DSi, Ghost Trick, Missile, Nintendo DS, Shu Takumi, Temsik.